GUE/NGL MEPs are calling on the member states and the Commission to finally fulfill their commitment to relocate refugees who are currently stranded in Greece and Italy. "According to the Commission, less than one fifth of the relocation target has been respected for refugees from Italy and Greece." "There is a common position and cooperation which has been planned between the member states, but in practice we are not seeing the required solidarity. That does not honour our shared values and principles in the EU. We must realise that solidarity is anchored in the EU treaties and it involves all member states with no exceptions. "I believe we must set up a fairer and more effective framework for the acceptance and fair distribution of refugees in the forthcoming months and years. There must be no more excuses." Italian MEP, Barbara Spinelli, spoke during the European Parliament debate this morning:"This is not the first time that this Parliament has called on the member states to respect their commitment to relocate refugees and on the Commission to put an end to the false optimism that it has been displaying on this matter." "We also demand that the member states avoid subterfuges such as refusing to relocate migrants who arrived in Greece after March 20 2016, following the agreement with Turkey. Refusing relocations on this basis is illegal, as denounced by the European Court of Auditors in April. "Relocation risks becoming a deceitful solution, as it is currently combined with the 'hotspots' approach and the idea of transferring those refugees who have reached other countries back to Greece and Italy, on the basis of the Dublin system. "In Italy, in 2015 and 2016 there were 5,049 Dublin transfers and 3,936 relocations. In other words, more people were sent back to Italy than were actually transferred from Italy! "Relocation is failing because all of these measures together undermine the ability of Greece and Italy to manage refugee and migrant flows. 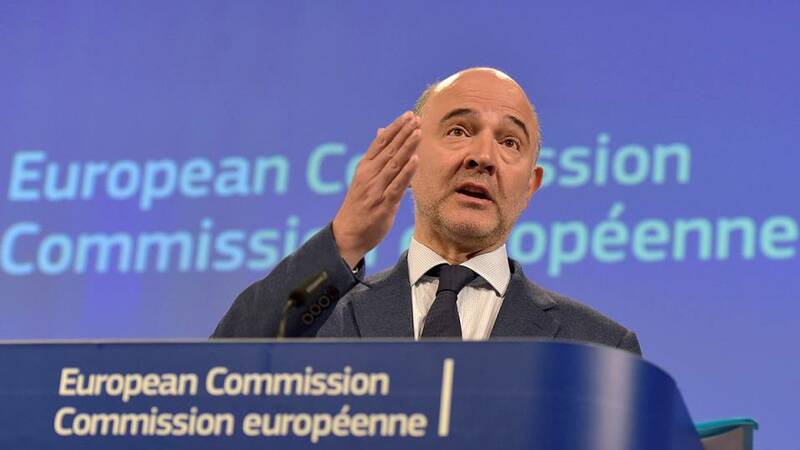 "The truth is: the Commission is doing everything possible to help Italy and Greece in ameliorating a deceptive system which actually perpetuates conditions that have become unsustainable in both countries." "We need relocation, but relocation alone is not enough." "Around the world this year, we are going to have to absorb one milion refugees. Europe is not doing what it should be doing and that is the clearest sign of a political crisis within the European project. "Spain is a great example - we have only accept about five per cent of the number of people we were supposed to accept. That is just not acceptable and we need to do something about it. "We must be absolutely clear about this. Here in these EU institutions we have been told that austerity is compulsory and anyone that doesn't comply will be punished for it. So why don't we say that human rights must also be complied with, that is absolutely essential and those who do not comply with this must also be punished?"